Granny Smith apples have a naturally sharper taste than their Fuji counterparts, but that’s exactly why they’re fun. Our crunchy apple slices are excellent snacking material, and they taste amazing when dipped in honey. 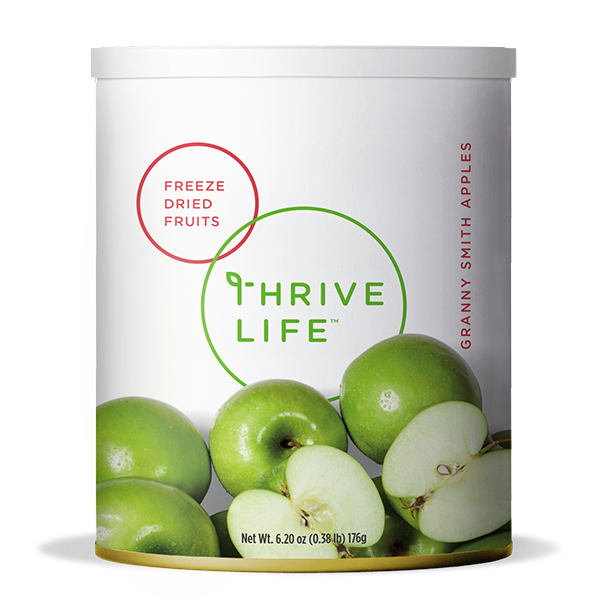 But since THRIVE Granny Smiths are sliced and peeled, they also make the most perfect apple pies, garnishes for salads, and applesauce. Now that’s what we call versatility. Add 1/2 cup water to 1 cup Granny Smith Apples; cover and let sit 10-15 minutes or until tender. These slices are more tart than our Fuji Apples and have had the skins removed, so they’re the product to use when making filling for pies, cakes, and pastries.